Local SEO is a highly effective way to market your business online. Local SEO services in Houston help businesses promote their products and services to existing and potential customers in the area. Local SEO is a key factor in helping small businesses improve their visibility on search engines like Google, Safari, and Internet Explorer, and allows potential clients to view their information, rankings, and reviews online. In today’s technological age, a business needs an online presence that is easily accessed and viewable by online users. If your website isn’t doing its job – that is, regularly attracting targeted visitors and converting them into clients – then it may be time to hire a local SEO services expert. One of the first things to look for when hiring a local SEO services expert in Houston is the experience. Anyone can set up an ‘SEO agency,’ but that doesn’t mean they understand what they’re doing or know how to get results. 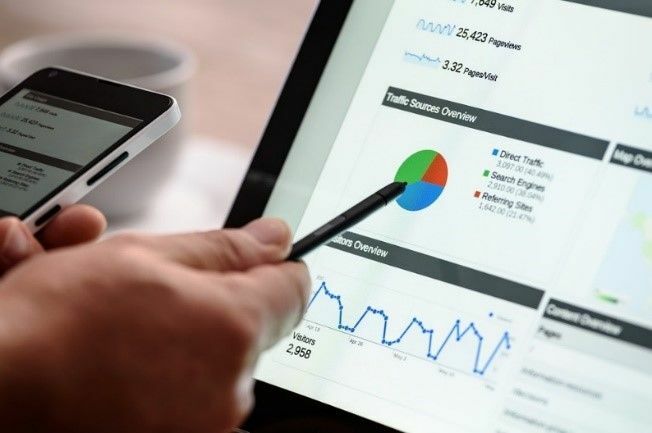 An experienced SEO services expert, however, will be able to view any website and automatically know what needs to be done for it to gain more search engine traffic. They’ll also know how to strategically market your business so that the SEO engine traffic will turn into customers. 1. Technical. This level has to do with the structure of the site, which can determine the level of difficulty for search engines to crawl and index a business’s content. 2. Onsite optimization: This includes elements such as keywords and HTML tags that help increase search engine traffic to a site. 3. Offsite optimization: This level helps businesses direct search engine traffic to their website through the use of off-page techniques, such as link building. When you’re looking for SEO services in Houston, look for someone with a proven track record of success. Before hiring anyone, make sure you check at least three references – the more current, the better – to find out how the SEO service expert helped their business succeed. Don’t just take someone at their word: do your due diligence, and check references before trusting someone with your business’s SEO success. Once you get past all the technical details, SEO is really just about marketing. That’s why you’ll want to look for an SEO services expert in Houston who is marketing savvy and can advertise your business in creative and effective ways. A good SEO expert will also be very computer and internet savvy, and understand effective online marketing methods and trends. No matter how big or small your business is, you want to hire an SEO service expert who fits in with your business’s culture. SEO experts interact will all different areas of a business, including IT, marketing, customer service, and sales. You’ll want to make sure that the SEO services expert or team you hire in Houston will fit with your business culture, values, and mission. Are you a new business, or an existing business looking to improve your website’s traffic? You’ve probably done some web searching related to improving traffic and have seen a lot of “SEO” in your search results, also known as Search Engine Optimization, but what does it mean? You could go right to a professional firm for your SEO needs, but before seeking one out, you should understand the fundamentals so that you have the basic knowledge to make an informed decision about what firm you choose for your SEO in Fort Worth. The first step to building the foundation of good SEO for your website is to have on-site SEO built into it. This type of SEO includes sitemaps, bot accessibility, URL structure, unique text content, internal architecture, etc. The first thing a firm for SEO in Fort Worth should be doing with your website is performing an audit to check on all these things to test if your site has a good SEO foundation to work from. After an audit, if you go ahead with your SEO in Fort Worth, the firm will use their tools to help create a series of keywords for your on-site SEO. Unique content is what will get you as many google hits as possible. If you have multiple pages with the same or very similar content, and just certain words swapped out (such as city names), the search engine bots will detect them as duplicate content, and it will negatively affect your site ranking. Also, bloated numbers of pages does not help either, it is better to have a single page for a service plus its sub-services you offer than multiple pages for every sub-service. One of the many services a firm for SEO in Fort Worth will offer is the creation of quality backlinks for your website, but what are those? Backlinks are one of the key ways of getting a good ranking on Google’s algorithms, they are hyperlinks that link back to your website. These quality backlinks should be from websites and blogs of authority in your industry. Having local SEO information is key for good SEO in Fort Worth. When you search Google, you’ll often find a business address, and star ratings next to businesses; this is caused by the Google My Business page. You should check out your own My Business page to make sure all your business information is up-to-date, as well as photos. On your My Business page you can also set the primary category of your business to ensure you are listed with the proper searches. When you start improving the SEO of your business website, it isn’t just a process that is done once, it has to be continuously monitored, and new content created regularly. You’re going to want a blog, and in that blog have quality posts related to your services, products or industry. As well, you’ll want to be active on social media where you can, keep up to date with posts on your business’s Facebook page, promoting your blog, and services. If you are looking to improve your business website traffic, contact the SEO experts at BVM today to get started.